Electroactive Polymers (EAPs) are polymers that change their size, shape or volume in response to a strong electrical field. In the field of “active materials” (e.g. piezoelectrics, thermo-elastic polymers, shape memory alloys and polymers or magnetostrictive materials) electroactive polymers stand out due to their large active deformation potential, high response speed, low density and improved resilience. 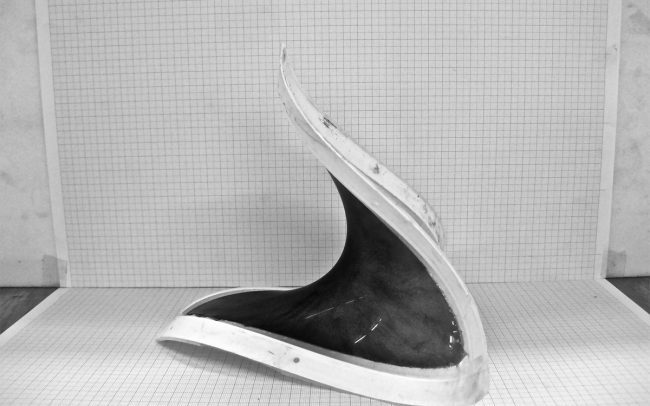 They are extremely lightweight, inexpensive, fracture tolerant and compliant. According to their working principle they can be split into two main categories: ionic and electronic EAPs. Ionic EAPs are driven by a displacement of ions during electrical stimulation, which leads to a change in shape or volume. Their main advantage is that they can be actuated by voltages as low as 1 – 2V, however since the ions are diffused inside an electrolyte they need to maintain their wetness during all times. They are mostly used as bending actuators with strong bending capabilities but have a rather slow response speed. Since the production of stable material configurations is pretty difficult, they are expensive and usually not commercially available. Electronic EAPs are driven by strong electric fields. The occurring electrostatic forces lead to an electromechanical change in shape of the material. Usually they are applied as planar actuators due to their large in-plane deformations. In contrast to ionic EAPs, they work in dry conditions but need very high activation voltages in the range of several kilovolts. They are very fast in responding, exhibit relatively large activation stresses and can hold the induced displacement under DC activation. 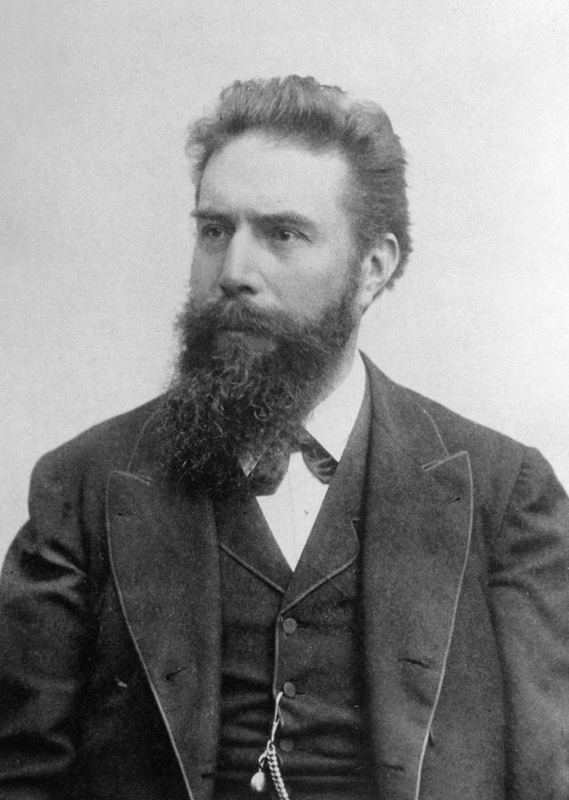 The first reported occurrence of an electroactive phenomenon dates back to 1880, when Wilhelm Röntgen observed a length-change in a fixed rubber band with a weight on its one end, when being electrically charged and discharged. In 1899 M. P. Sacerdote confirmed Röntgen’s experiment and formulated a theory of the strain response to electric field activation. The next milestone was in 1925, when the first piezoelectric polymer, called electret, was discovered. It was formed by combining carnauba, wax, rosin and beeswax, and then subsequently cooling and solidifying the mixture while exposing it to a DC bias field. 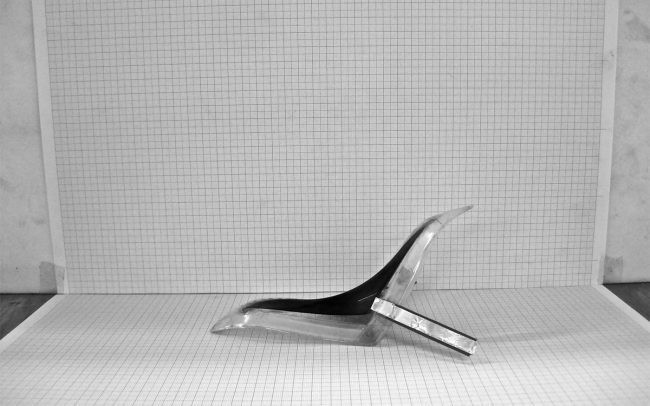 In 1969 it was demonstrated that polyvinylidene fluoride (PVDF) displays a large piezoelectric effect and hence launched research into polymers that would exhibit a similar effect. The first electrically conducting polymers were discovered in 1977 by Hideaki Shirakawa by doping polyacetylene with iodine and thus enhancing its conductivity by eight times, close to that of metal. In the early 1990s ionic polymer-metal composites were developed, which displayed much better electroactive properties (much lower activation voltage, larger deformation) than previous EAPs. The first commercially developed device containing EAPs as an artificial muscle was a fish, being able to swim on its own, produced by Eamex in Japan in 2002. The company Artificial Muscle began industrial production of an EAP from silicone and acrylic polymers in 2008. Among the electronic EAPs especially soft dielectric EAPs also referred to as dielectric elastomers (DE) or ‘artificial muscles’, exhibit promising functional properties since they are capable of strains up to 380%, extremely flexible, light, thin, transparent and can basically be tailored to any size or shape. The central element of DE actuators consists of a thin elastomeric film (e.g. silicone or acrylic), which is coated on both sides with or sandwiched between two compliant electrodes. In this configuration, the polymer acts as a dielectric in a compliant capacitor. When an electrical voltage is applied between the electrodes, the opposite charges move from one electrode to the other and as a result squeeze the film in its thickness direction. Since the material is close to incompressible this leads to a planar film expansion. When the voltage is turned off and the electrodes are short-circuited the EAP returns to its original shape. The observed response of the polymer film is primarily a result of the interaction between the electrostatic charges on the electrodes. Based on the principle of operation of soft dielectric EAPs, two main directions to perform work against external forces are possible and as such two main types have been developed. The expanding actuators perform work against external pressure loads in (both) planar directions. They are usually under a certain pre-stretch and are often embraced by a mechanical support structure or frame. In these systems the support is released, when the material relaxes under activation. Depending on the pre-stretch ratio different expansions in varying directions can be achieved. The stacked or contractile actuators consist of several hundred or thousand layers and can work against external tensile loads acting in thickness direction, since the material is compressed when activated. They are produced from non-stretched material and can transmit the force directly onto an object. 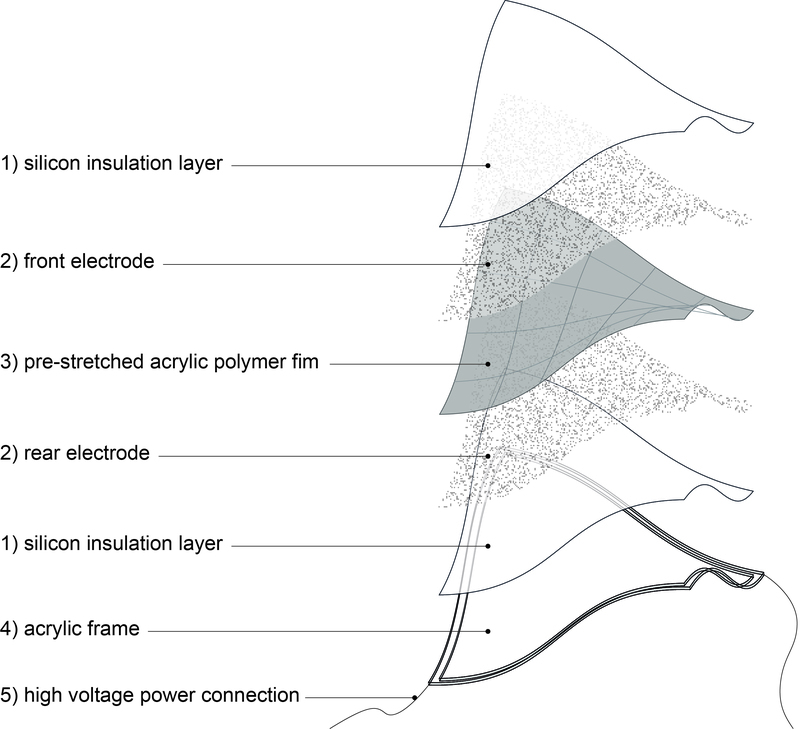 In order to successfully create a DE actuator both the membrane film as well as the electrodes must fulfill certain properties. The film must be thin with uniform thickness, incompressible and a good electrical isolator with high electric breakdown strength. Hence silicones, polyurethanes and acrylic based polymers have emerged as most suitable materials. Silicones show fast activations responses and can be operated in a large temperature range. Polyurethanes exhibit larger force output than silicones and acrylics feature a good dielectric strength. Among the commercially available acrylics in particular VHB (very high bond) films by 3M perform great in terms of electromechanical strains, producing high pressures and extraordinarily high specific elastic energy densities. Electrodes for the application on DE transducers need most of all feature good conductivity, even when stretched. They must be as thin as possible and bond well with the dielectric film. This is usually achieved by the application of electrically conductive particles, such as metal, carbon black or graphite powder. The particles are often mixed with grease, oil or liquid silicone for thicker electrodes with lower electrical resistance and are applied by spraying or brushing. In order to supply the dielectric elastomer with the necessary high DC activation voltage HV sources or amplifiers are utilized. In cases where activation time is not crucial, boost converters can be used instead, which are less bulky and expensive. On top of using dielectric elastomers as mechanical actuators they can also perform as sensors since when the charged DE device is stretched or contracted, the serial resistance within the electrodes changes. Furthermore they can be used to convert mechanical work into electrical energy and as such be applied as DE generators, with their softness and flexibility in shape and design providing additional qualities. Other types of electronic EAPs include ferroelectric polymers, electrostrictive graft polymers, electrostrictive paper, piezoelectric polymers and liquid crystal elastomers. 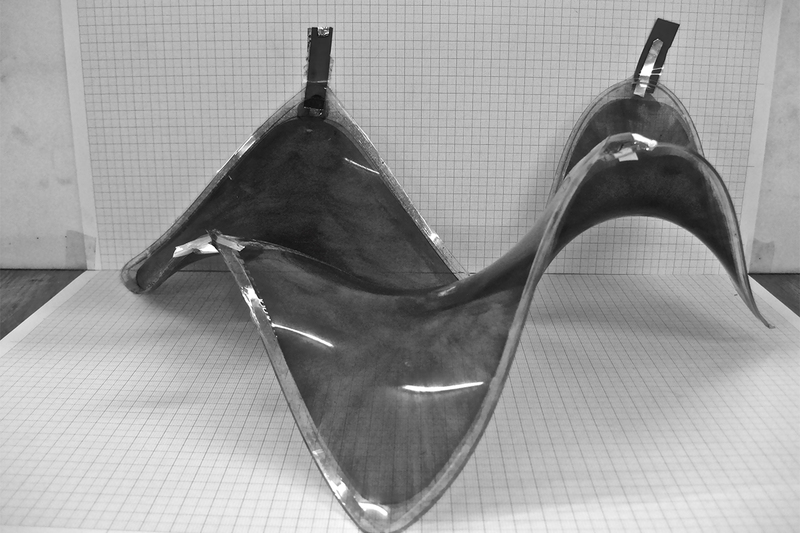 The shape flexibility of EAPs, among their other qualities, makes them very versatile materials. But even though a large variety of DE actuators have been successfully demonstrated most EAP materials are still custom made and the number of commercially available products is limited. They have been utilized as artificial muscles, both for prosthetic purposes or “super-human” exoskeletons, microelectromechanical systems (MEMS) and more concrete, as refreshable braille displays  or gaming interfaces . Based on their immediacy and “natural” or “organic” behaviour recent research has investigated their potential for active camouflaging on soft surfaces, mimcking cephalopod chromatophores. For architectural applications and scale the material exhibits very promising properties, especially its homogeneous surface qualities, transparency and large active deformation are visually astonishing. Problematic is however the scalability, since fabrication is still largely manual and potential errors dramatically increase once reaching a certain size. 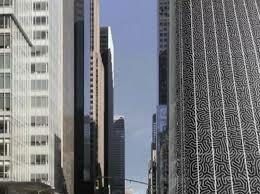 Furthermore the durability of the material cannot yet comply with architectural standards. Yoseph Bar-Cohen: Electroactive Polymer (EAP) Actuators as Artificial Muscles: Reality, Potential, and Challenges. SPIE Press, Bellingham WA, 2004. Feldman, Randy (2008-02-20). “Electroactive Polymer Artificial Muscle – A Polymer Based Generator?”. Thin Film Users Group. Northern California Chapter of the American Vacuum Society. 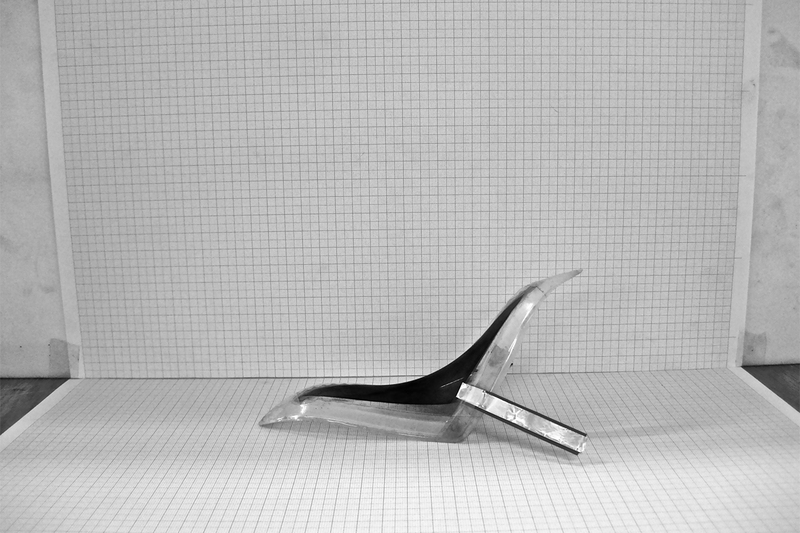 Axel Ritter, Smart Materials (Basel: Birkhäuser, 2007), 66-69. Christa Jordi, “Biomimetic Airship driven by dielectric elastomer actuators,” (PhD thesis, Swiss Federal Institute of Technology (ETH), Zurich (Switzerland), 2011), 15. Patrick Lochmatter, “Development of a Shell-like Electroactive Polymer (EAP) Actuator,” (PhD thesis, Swiss Federal Institute of Technology (ETH), Zurich (Switzerland), 2007), 12, 13. Yoseph Bar-Cohen: Electro-active polymers: current capabilities and challenges. Paper 4695-02, Proceedings of the SPIE Smart Structures and Materials Symposium, EAPAD Conference, San Diego, CA, March 18-21, 2002. p. 2. Jonathan Rossiter, Bryan Yap, Andrew Conn: Biomimetic chromatophores for camouflage and soft active surfaces. IOP Publishing Ltd. 2012.